Please select a size. 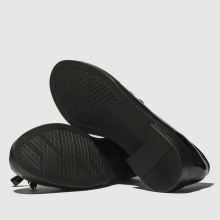 EU 35 - Email me when back in stock EU 36 - In StockEU 37 - In StockEU 38 - In StockEU 39 - In StockEU 40 - In StockEU 41 - In StockEU 42 - Email me when back in stock Please select a size. Bringing a bit of chic influence to any outfit you're planning from the work place to the weekend, the Happiness loafer lands from schuh. 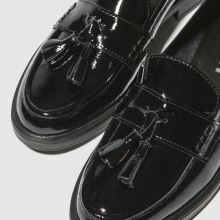 The glossy black upper is crafted from patent leather with a signature saddle strap and tassel embellishments.